A view along Sherrard Street taken beside boundary wall of The Limes (now the site of Woolworths). 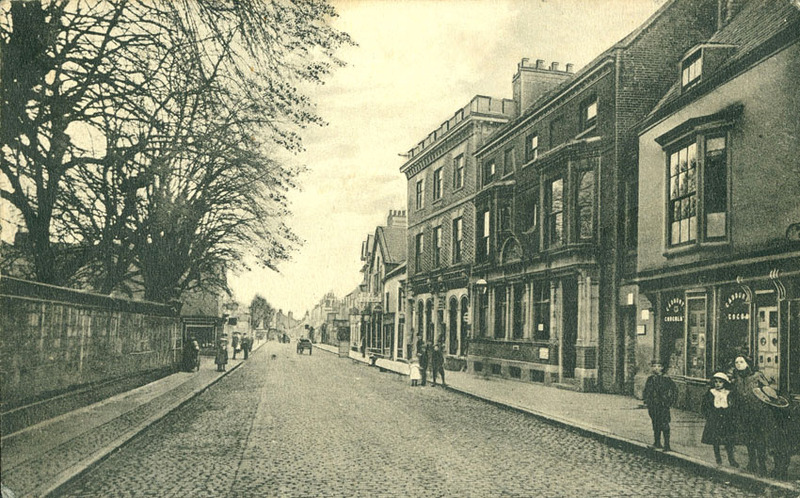 On the far right is CS Smith grocers, and then the Post Office looking very imposing in what had once been a private house. The taller building next to it is Sharman and Ladbury ironmongers. Approx date: 1910. Image ref: MM0202.